Got lost, wondered how I could explain to my friend where I was, but I could not really give him an address. So I figured making an app where you can share location to meet people, know how far they are (I was impatient :p) without the use of an address and at the same time make it super simple. 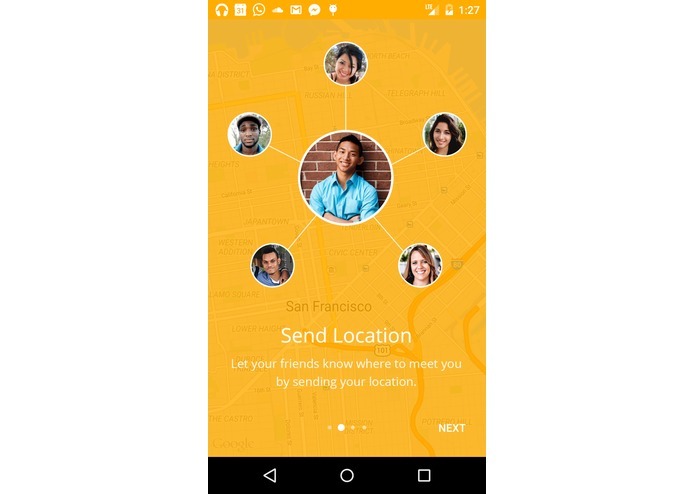 *Send Location Let your friends know where to meet you by sending your location *Request Location You can request your friend's location to meet with them. 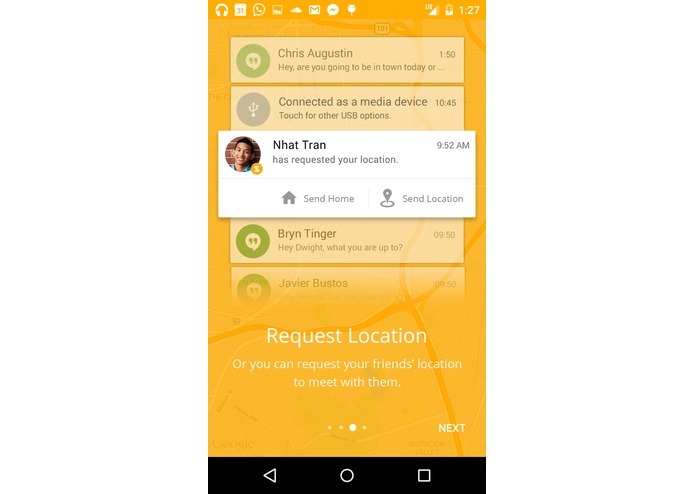 *Live Tracking See precisely how close your friends are and when they will arrive in real time. REST API, Android Wear :), own live tracking algorithm and its ability to work in the background, and the simplicity of the app.